Well hello again! As some of you might know, I’m on a bit of a spending ban at the moment. I move out of my student house and back home on the 15th July and I have to spend the summer at home on a very tight budget, all so I can afford my September holiday! But I really couldn’t resist the amazing summer sales that are going on right now and had a cheeky splurge in River Island, woops. 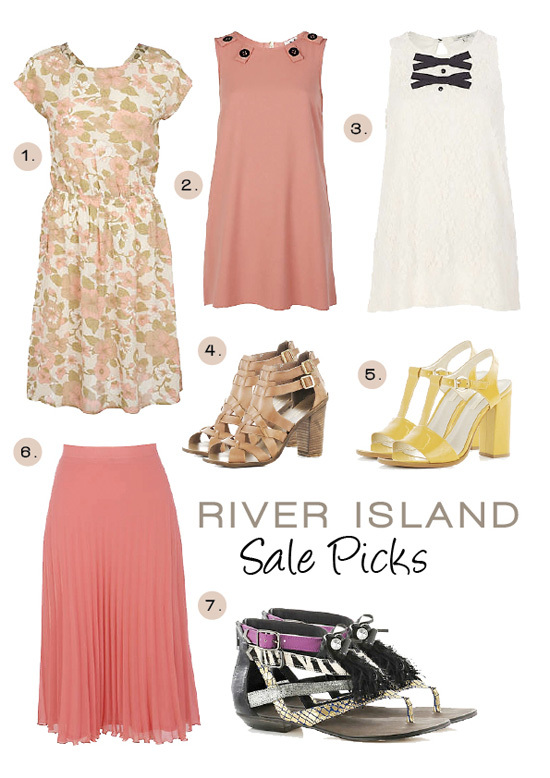 So here are my picks from the River Island summer sale right now (while stocks last, all the best stuff doesn’t linger for long). I bought the white lace tunic for £12 and the black feather sandals for £10. I think Lily from LLYMLRS wore the white tunic in one of her posts for RI and it looked fab, so that’s definitely one of my favourite sale picks. I also LOVE the yellow t-bar sandals, even though I’m really not a fan of the colour yellow. They are the perfect day-to-night summer sandals!